Stevie Greenwell is a musician, educator, and mentor working around the bay area. 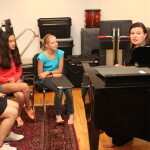 She works to connect people to their voice both musically and emotionally. Stevie believes everyone has the right to sing and that the voice can be a tool of reflection and expression to help us learn who we are and what we want to express to the world. Stevie performs with the Thrive Choir, Jazz Mafia Choral Syndicate and other artists around the Bay Area and is a proud ‘Til Dawn Alum. 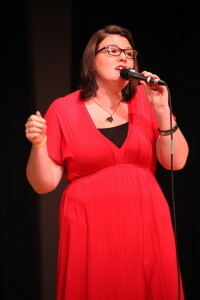 During the summers, she is part of the senior voice faculty at the Marin-based singing camp, “Own the Mic”, voted best in the Bay by Parents’ Press in 2015. 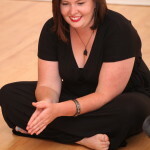 Stevie Greenwell was the Director of Vocal Studies at Marin School of the Arts (MSA), a public arts high school. Throughout her time at MSA, her award-winning program doubled in size and flourished. In 2016 she was awarded the “Golden Bell” for outstanding teaching in California. She is a Tauber Fellow and received grant funding to develop unique Holocaust Education approaches for high school students. Prior to this, Stevie was a two year Peace Corps volunteer, living in Zambia and working to improve rural education. A year after that, she returned to Zambia with a group of Peace Corp alumni to create “Paint the Movement,” a training program for Special Education teachers.